As pitchers and catchers for the major league club are reporting to the Miami Marlins’ training camp in Jupiter, Fla., Thomas Jones of Laurens is reporting early to the minor-league camp on Feb. 21. That segment of spring training begins in earnest on March 6. 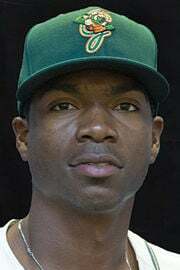 Jones, the Marlins’ third-round draft choice in 2016, played in 103 games last year at Class A Greensboro, where he played exceptional defense and stole 20 bases, but batting average has been his weakness thus far. He rapped 17 doubles and belted nine home runs but batted .222. Jones said he is hopeful everything comes together. A Marlins-geared websites, fishstripes.com, suggests that Jones’ probable assignment this year is the Marlins’ Jupiter Hammerheads club in the Florida State League.